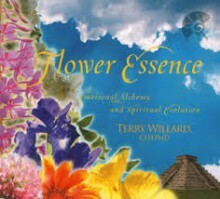 Flower essences are made of water that contains vibrational energies of plants. They work to get negative emotions back into a positive state and to balance your feelings, emotions, and personalities. In Vibrational Medicine, a book that has drawn worldwide attention, American physician Dr. Richard Gerber states that the power of flower essences goes beyond the material body into the level of energies, thus enabling healing at a deeper level. Advanced medicine considers inner wellness to be the most influential factor for health. Inner wellness has a tremendous impact not only on physical health but also on beauty. Flower essences work effectively on your emotions and temperament. The vibrational energies of flowers support your emotional balance, helping you to shift the negative emotions that come up in daily life, such as anger, fear, anxiety, jealousy, loneliness, sadness, loss of confidence, and low vitality, into a positive direction. DTW flower essences are created (for Japanese－日本人の為に、は省く感じかな？) by an active doctor, Dr. Terry Willard, who has had a long clinical experience in Canada. All essences contain only plant-based Kosha glycerol as the preservative. Flower essences are meant for oral intake. Take four drops of each essence mixed with drinks such as water or tea. Please see the catalogue for further information. This product is not a medical drug. Experiences can differ individually and no particular effect is guaranteed. She has been actively lecturing about “Total Beauty” (a balance of 3, the appearance, the health and the mind – both mental and spiritual aspects) for more than 30 years and has counseled over 5000 people throughout her career. DTW Flower Essence is refined in collaboration with Dr. Terry Willard using her specialist experience. 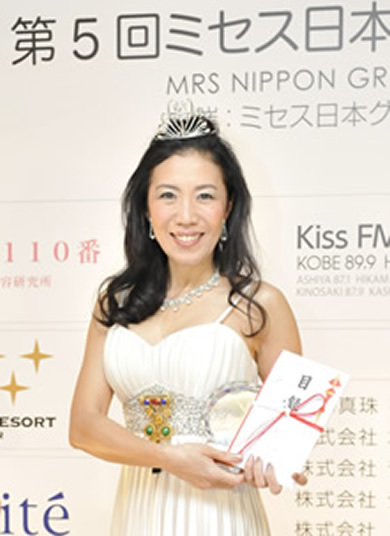 Juli developed DTW flower essence and utilised the unique aura mist to help her win the 5th Mrs. Japan Grand Prize, 50s category. Dr. Terry Willard is a clinical medical herbalist who has been studying traits and characteristics of plants for more than forty years. 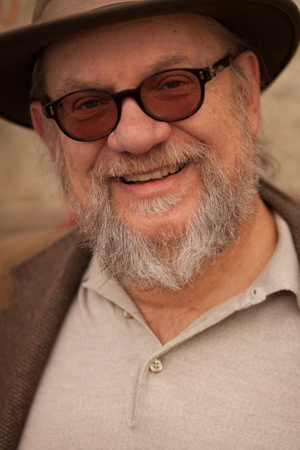 He is a leading figure in North American herbalism whose active contribution encompasses a wide variety of avenues. The owner of an herbal clinic in Calgary, Canada, and a teacher at his Wild Rose College, he has also served as an herbal prescription advisor at a number of health food manufacturers and pharmaceutical companies in North America for more than thirty years. After retiring in the end of 2015, he relocated to Vancouver and has been continuing his lectures. Since 1986, he has been appointed and serving as an advisory member for herbal and botanical prescriptions at HPB, a Canadian governmental organization equivalent to the U.S. FDA. On October 3rd, 1998, he became the youngest to enter the Hall of Fame at Canadian Health Food Association. Facial features, skin, make-ups, hair styles, fashion, the way you walk, fashion nails, etc. “Beauty” is consisted of appearance, physical health, and inner wellness, and the first two—appearance and physical health—depend largely on inner wellness, which is the foundation. Read the description of each flower essence as you take an honest look at your inner self. The essences you currently need are those you feel whose keywords in the descriptions match your inner conditions and emotions. As for formulas, choose ones that are most needed according to your aims. When it comes to flower essences, it’s more important to take it multiple times a day than to take a big amount at once. Take about four or five drops of your FEs adding to a small amount of beverages such as water or tea. Alternatively, you can drip four or five drops of your FEs directly into your mouth. In this case, be careful not to touch the glass part of the dropper directly to keep it from being contaminated. Prepare any drink in a 300-500ml-sized water bottle and add about four or five drops of your FEs. Drink from this bottle five or six times a day. Make sure to finish it within the day you made it. Generally, take an essence or a formula continuously for 2-3 weeks to see how it affects you. After that, you can make adjustments such as reducing your intake to 1-2 times a day, taking the essence only when you feel the need to, or changing to other essences according to new emotions that have surfaced. After purchase, please store the essences in a cool, dark place and keep them away from heat and humidity. Expiration dates are valid before opening. After opening, keep the bottle in a cool, dark place and finish it within three months regardless of the expiration date. Close the cap immediately after use. Keep the dropper clean and be careful not to contact it with your tongue or skin. In the event of the dropper being contacted or dirtied, it is not enough to wipe it or to wash it with water. Please make sure to sterilize it by boiling and use it again after it dries completely. While the dropper is being cleansed, cover the bottle with plastic wraps, put the over cap, and keep it in a cool, dark place. Because Fascination or other “Formulas” are already blends of multiple FEs suitable for specific purposes, please refrain from mixing them with other FEs. On rare occasions due to temperature change or other reasons, white glycerol crystals can appear. This does not affect the product quality. The products are not meant as medical drugs or quasi-drugs. Experiences can differ individually and no particular effect is guaranteed. What are the book “flower essences”? This book explains in simple terms the difficult-to-understand concepts of vibration and energy. Written by Dr. Terry Willard, the developer of DTW flower essences, it’s packed with wisdom for you to become the “you” that you’ve always wanted to be.